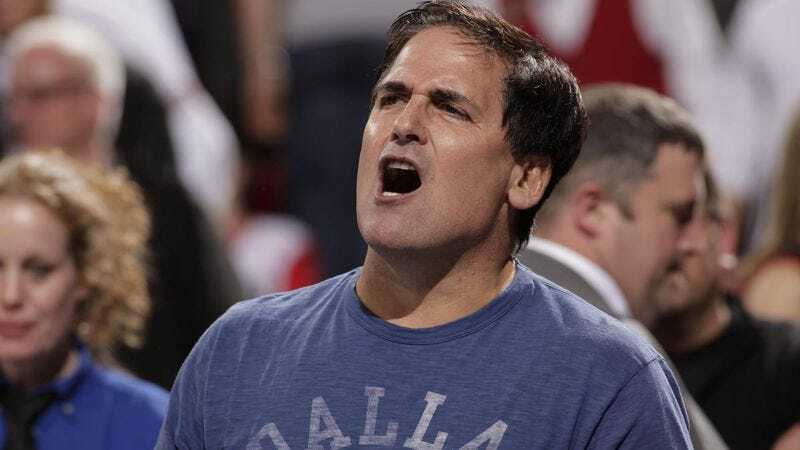 DALLAS—Within hours of the Mavericks sweeping the Lakers Sunday to advance to the NBA Western Conference Finals, basketball fans across the United States began preparing themselves for the very real possibility of outspoken libertarian and tech billionaire Mark Cuban winning an NBA championship. “Yeah, I know, first thought that occurred to me was ‘Oh, man, that would be terrible,’” said Eugene, OR water-treatment plant worker Tracy Williams, adding that his jaw clenched uncomfortably at the idea of Cuban kissing the championship trophy with his “big, loud, stupid mouth.” "But then I thought, you know what? The guy clearly loves his team. He treats his players great. Maybe he does deserve an NBA title. Then I got pissed off at myself for thinking that.” At press time, reporters are currently weighing the pros and cons of asking Mark Cuban to comment.